Entertainment / Movies / Are These The X-Force Members Teased In The ‘Deadpool 2′ Trailer? 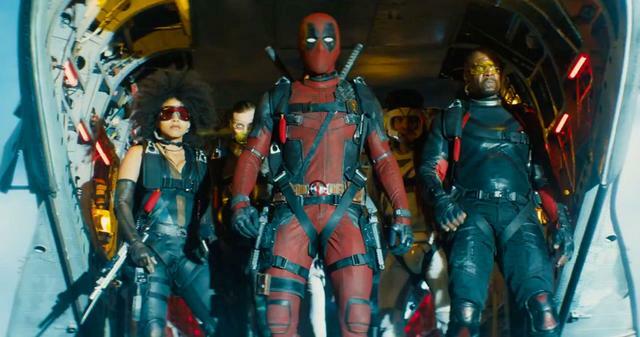 Are These The X-Force Members Teased In The ‘Deadpool 2′ Trailer? Last week we got a great new Deadpool 2 trailer, that among other things, showed us a quick shot of Deadpool and several other mutants, in the back of a helicopter. Over the last few days, fans have seemingly nailed down the mutants’ identities to those of: GW Bridge, Shatterstar, and Zeitgeist. It’s important to know that FOX has not confirmed any of these casting announcements, but the internet seems 95% sure on Crews, and at least 75% on both Tan and Skarsgård.